Villa in San Lameer Gholf Estate walking distance from beach. Our home is situated in a natural garden overlooking a lagoon with sliding doors opening from the lounge and dining room onto the patio. Part of the patio is roofed with a braai area. Main bedroom is on-suit with a queensize bed, 2nd bedroom has a double bed and shares a bathroom with the third bedroom with 2 single beds. We are Elize and Willie, a married couple with all the children already on their own. We are in our mid fifties and have started to slow down. Elize is a Science Teacher and Willie a Civil Engineer/Project Manager both currently involved in housing development. We enjoy travelling overseas. We have not done an exchange yet but want to give it a try. The villa is situated in the San Lameer Gholf Estate. 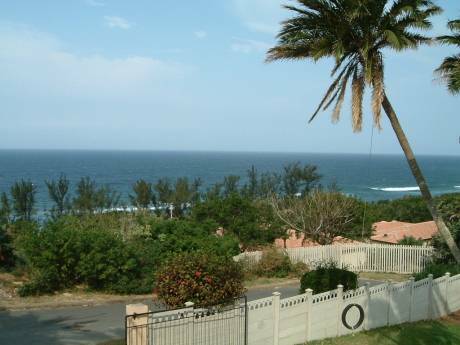 San Lameer is situated on the Southcoast of Kwazulu Natal 15km from Margate and 130km from Durban Airport. 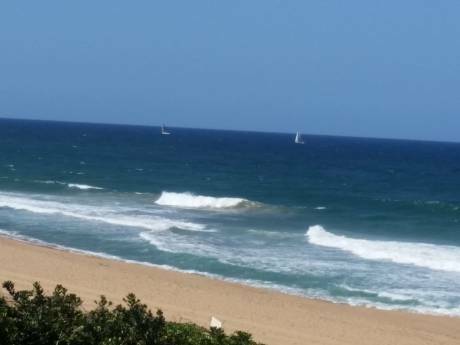 (Bus service between Durban Airport and San Lameer). San Lameer has guarded access onto the Blue Flag Beach of Marina Beach. 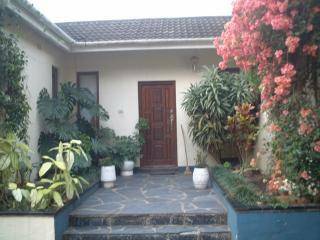 The Estate is electrically fenced and has 24 hours security control.